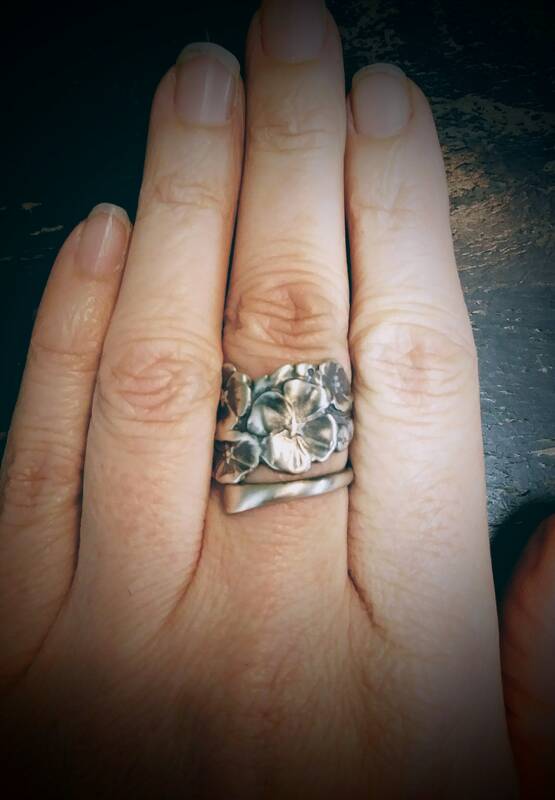 Lovely antique floral pattern sterling silver spoon ring, handmade to your size! 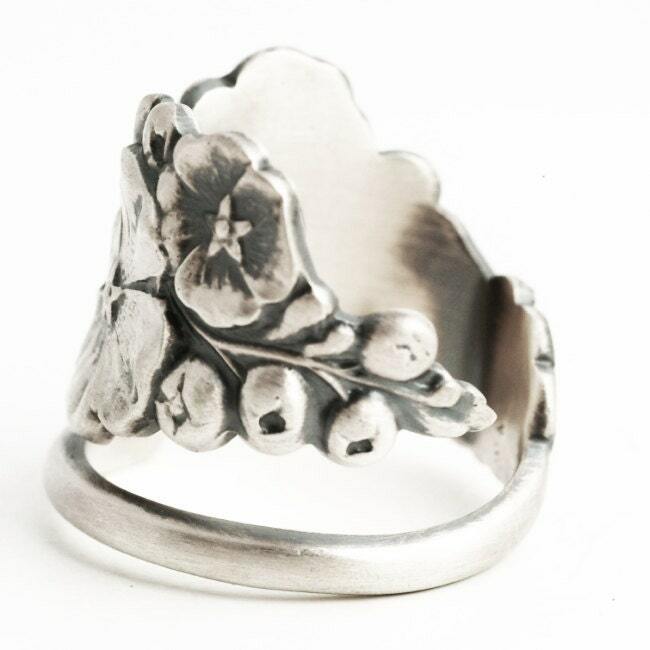 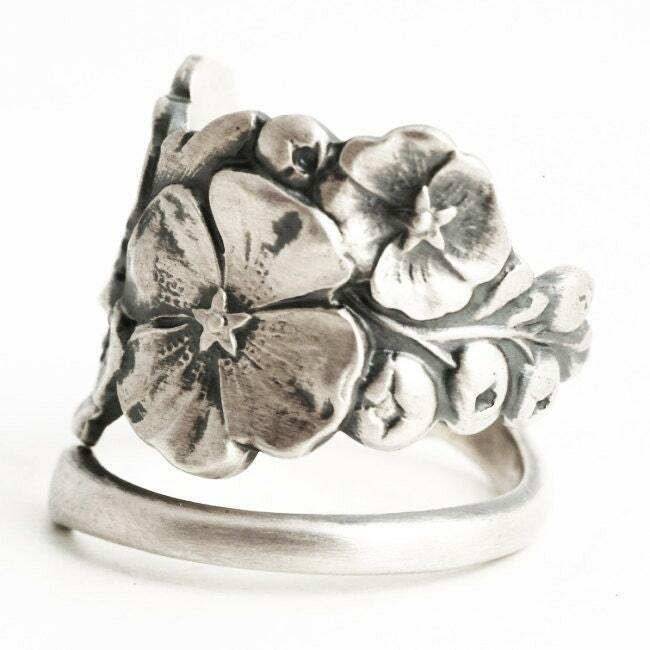 This ring design has beautiful stylized Hollyhock flowers, buds and leaves. 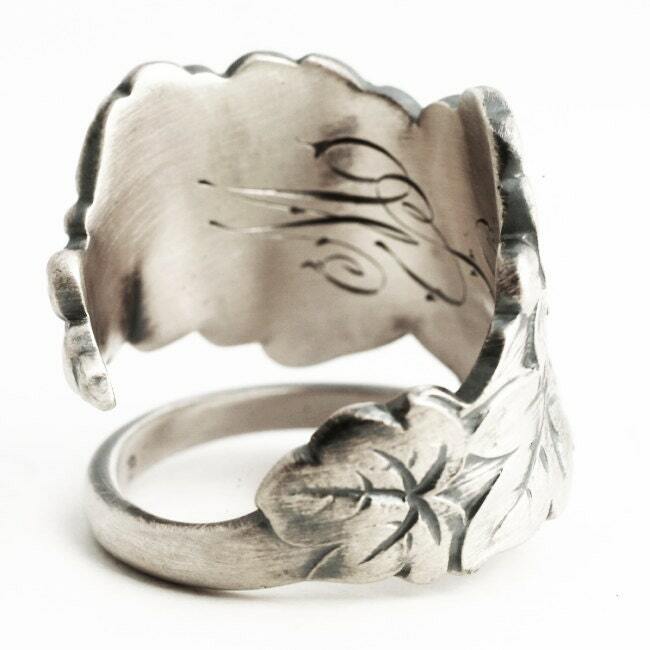 Wonderful Art Nouveau feel to this design, made evident by graceful flowing curves. 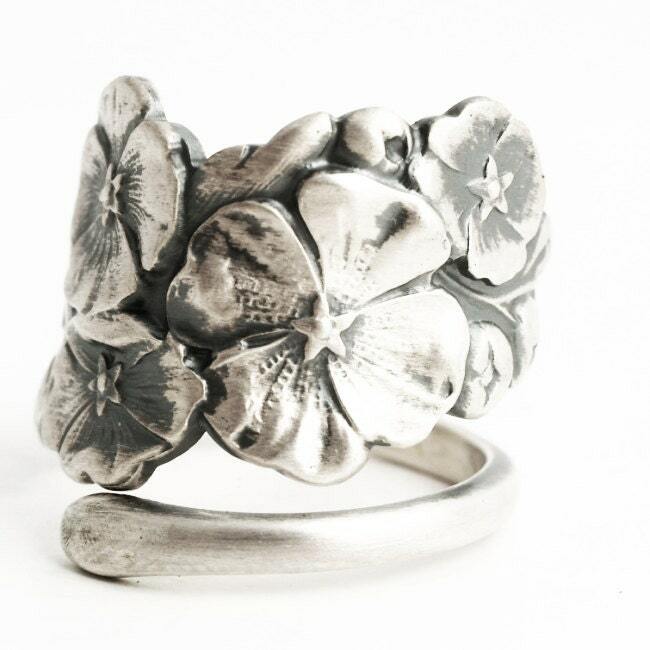 Made by F S Gilbert ca 1904- 1915 when they were in manufacturing sterling flatware. 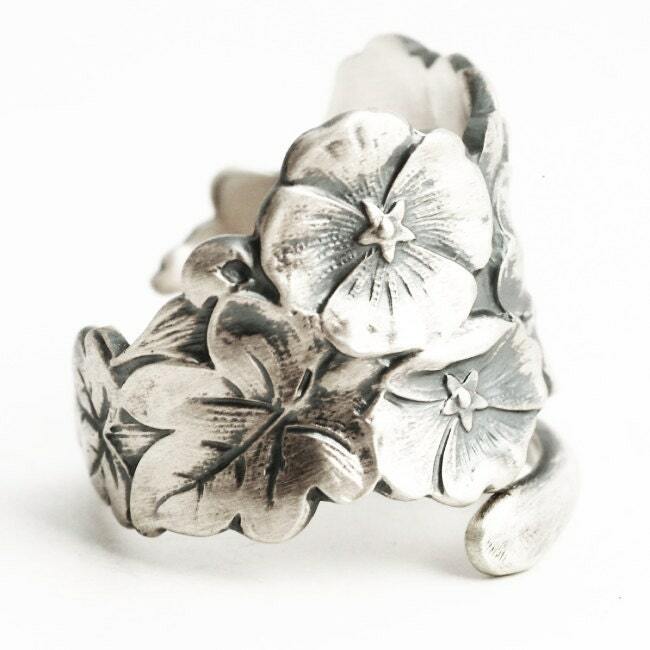 The Hollyhock flower represents is fertility and fruitfulness. 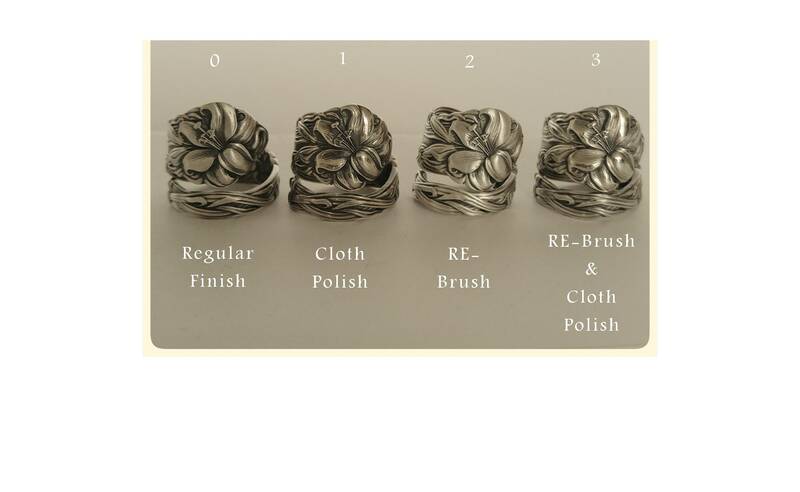 This is not a reproduction, but an original piece!